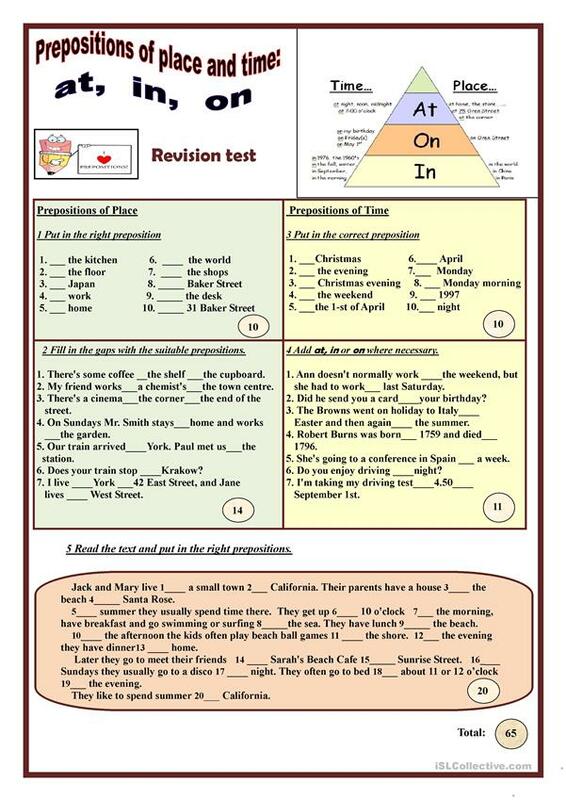 This worksheet is a revision test dealing with prepositions of place and time. It consists of five exercises. Students have to fill in the gaps with the correct prepositions. 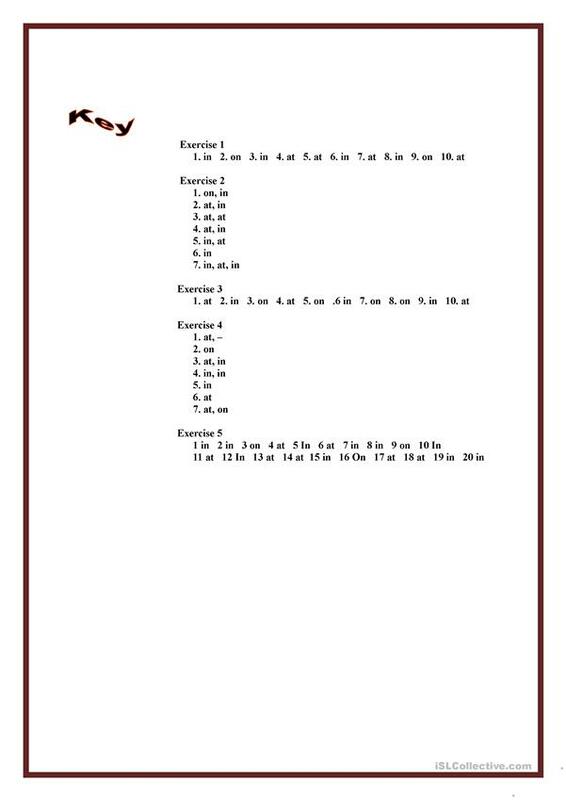 The above downloadable printable is recommended for high school students and elementary school students at Elementary (A1) and Pre-intermediate (A2) level. It is great for revising Prepositions, Prepositions of place and Prepositions of time in English, and is a valuable material for improving your class' Reading and Writing skills. The exercises come with the answer key.